When it comes to holidaying as a family, it’s important that everyone gets to have fun, relax and enjoy themselves including mum and dad! Like many things in life theme parks can be fraught with difficulty from parking, because seriously who designs those zones? To deciding if a day pass, jump the queue wristband or multi-choice visit option is worth it? Or if there are enough rides, attractions, and even food choices to keep each member of the family happy. Theme parks are incredibly crowded during weekends, summer holidays and during big ‘anniversary events’ do so try and pick a day where you know you won’t have to stand in a queue every single time! Voted the UK’s favourite theme park, Legoland Windsor is not only educational, yes, you can walk around twenty tiny countries in as many minutes, it has a science centre and a dedicated schools program there’s also lots to see and do! Kids’ll love exploring the different zones, like Miniland, Land Of The Vikings, Heartlake City, Pirate Goldwash, Splash Safari and the 4D Lego Movie Theatre. 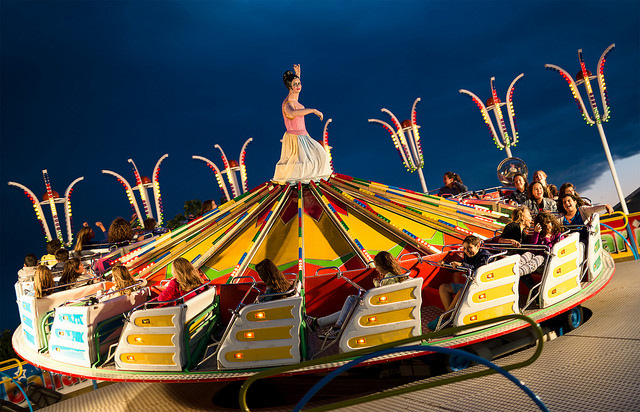 There are also plenty of rides for all ages, including an adorable driving school, plus a range of places to eat serving both snack food and sit down meals. Not to mention the handy dandy, free life size lego train that takes all visitors down into the park and back up to the top which avoids any whinging about them being tired! When a Harry Potter theme park was announced before filming had even wrapped up on the Deathly Hallows, the entire world held its breath in excitement. Orlando, Florida soon became home to The Wizarding World Of Harry Potter where wannabe wizards now board the Hogwarts Express, ride roller coasters like Dragon Challenge, and visit real life versions of Honeydukes, The Three Broomsticks and Dervish and Bangs. Eager fans even have the chance to be matched with their own wand at Ollivanders Wand Shop. Be aware, though, a visit to The Wizarding World Of Harry Potter is pretty expensive and tickets sell for around $150 each. While this may be one of those bucket list holidays if it’s Harry Potter themed then shops will stock it, merchandise is definitely not cheap so let your kids know they’re going to need to choose their purchases wisely. Firstly, unlike Disney World in Florida, Disneyland Paris is easier to get to for families in Europe, it’s a shorter flight, train or car ride and it may be less crowded. The park also has Disney Village, a purpose-built entertainment district packed with shops, restaurants, hotels, entertainment venues and much more as well as Golf Disneyland, featuring nine, and eighteen hole courses as well as a quiet, plush clubhouse. The top five rides at Disneyland Paris are It’s a Small World, Space Mountain: Mission 2, Thunder Mountain and Buzz Lightyear’s Astro Blasters and, of course, the infamous Pirates Of The Caribbean which evolved into a multimillion dollar film franchise starring none other than Johnny Depp.